The biggest mistake I see entrepreneurs make with their marketing, is their messaging is intangible, or too “woo woo”. No one get’s what they’re trying to sell, and it becomes very frustrating. You’ve most likely heard the phrase “a confused mind does nothing”. Have you ever felt like your messaging is not as tangible as you would like it to be? You’ll also learn how to create a higher perceived value in your market, by naming your techniques. multiple six figure launches for example, and six figure weekends. This is super simple, yet it will help you to be able to charge more, and your brand will grow bigger. 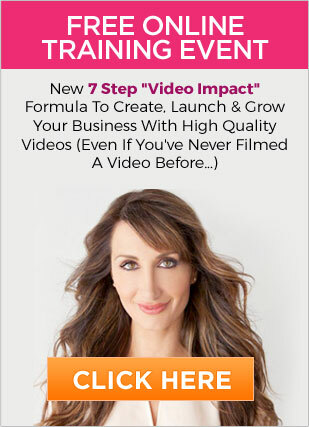 In the video I also share how you can stop only speaking to 20% of your audience and target market. What would it be worth to you if you could learn a simple technique to speak to 80% more of your audience? Would that be valuable? I’m going to teach you something called “accelerate learning” inside. Enjoy and I hope you get value from today’s episode! PS I would love to hear from you in the comments section. I personally read each and every single one! What did you like most and learn from this training, from my Live Event?